Flawless beauty! Perfect-Fitting Cover Complex will create a flawless skin. 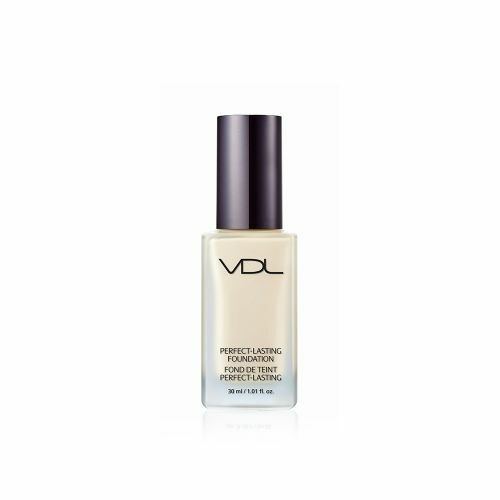 By blending into the skin seamlessly, it will give a plumped-up flawless finish. Bio Film Hydration wall will maintain the skin clean by balancing its moisture and oil. *Perfect-Fitting Cover Complex: Long-lasting foundation complex consists of Flat Cover Pigment, which provides a velvety-smooth finish and long-lasting flawless Air Pore Powder. *Violet Lumilayer Technology: Violet Lumilay Technology is an exclusive technology by LG that creates bright shades of colors not by mixing pigments but by delicately layering different shades of lights. Deriving energy from the color violet, the strongest wave in the color spectrum, we present to you colors of your dreams that never loses its original radiance no matter how many different shades are layered or mixed. WATER, CYCLOPENTASILOXANE, TITANIUM DUIOXIDE (CI 77891), METHYL TRIMETHICONE, ETHYLHEXYL PALMITATE, ALCOHOL DENAT, TALC, TRIMETHYLSILOXYSILICATE, BUTYLENE GLYCOL DICAPRYLATE/DICAPRATE, PEG-10 DIMETHICONE, BUTYLENE GLYCOL, CYCLOHEXASILOXANE, DISTEARDIMONIUM HECTORITE, CETYL PEG/PPG-10/1 DIMETHICONE, IRON OXIDES (CI 7741), IRON OXIDES (CI 77492), 1,2-HEXANEDIOL, MAGNESIUM SULFATE, ALUMINUM HYDROXIDE, PALMITOYL PROLINE, DISTEARYLDIMONIUM CHLORIDE, STEARIC ACID, FRAGRANCE, IRON OXIDES (CI 77499), DIMETHICONE, TOCOPHERYL ACETATE, MAGNESIUM PALMITOYL GLUTAMATE, SODIUM PALMITOYL SARCOSINATE, PALMITIC ACID, BIOSACCHARIDE GUM-1, SYNTHETIC FLUORPHLOGOPITE, TRIETHOXYCAPRYLYLSILANE, ETHYLHEXYLGLYCERIN, SILICA, MICA, TIN OXIDE, PENTAERYTHRIYTL TETRA-DI-T-BUTYL HYDROXYHYDROCINNAMATE.